The question of safety is a primary factor for any contractor when planning a concrete demolition job; as it is regarded as being amongst the most dangerous of building operations. Defects or neglect in the initial planning process could result in various injuries to workers or even fatalities. In the past, human error played a significant role in the efficiency of a demolition job, which has in modern times, been nullified by the ever increasing use of demolition machines. The methods and machinery used in a demolition job will vary depending on the site location, the form of the building material and the purpose of the demolition. A traditional method of demolition is known as the “high reach arm” which is generally employed in the form of a base machine; for example, an excavator, engine, tank, counterweights and a demolition arm. This latter piece of equipment consists of three sections or a telescopic boom and primary tool, such as a crusher, hammer or shears, attached to the base machine. The threshold for defining a high reach demolition is when it reaches a height of more than 20 metres. The inherent safety of demolition machinery is demonstrated by high reach machines having the capability of being equipped with different tools, to meet the demolition needs of various structures. It is a method used on reinforced concrete, steel, masonry and various mixed material content structures, with additional components employed for secondary operations such as material crunching. Several factors influence using this method, including the height of the structure to be demolished, conditions on the site and the structure itself. It is the nature of this industry that machines and equipment must be manufactured to an extreme toughness to cope with their task of breaking solidly-built structures, safely and efficiently. Another traditional and one of the most commonly used methods for certain types of structural demolition is the ball and crane. The operation involves the use of a wrecking ball that can weigh up to 13,500 pounds (6123.497 kilograms) and is used in demolishing concrete and masonry. It is a process whereby the ball is either dropped on, or swung into the structure. The sizes of structures that can be demolished with this method are limited by crane size, working area and various safety factors including the proximity to power lines. The nature of this operation calls for the expertise of only highly skilled and experienced crane operators, with additional work needed for the removal of rebar or reo in concrete structures. This is an operation requiring high operational skills and stringent safety precautions, with the control exercised in the swing of the ball being a critical issue. Should the ball miss its determined target then it could cause tipping or overloading of the crane. 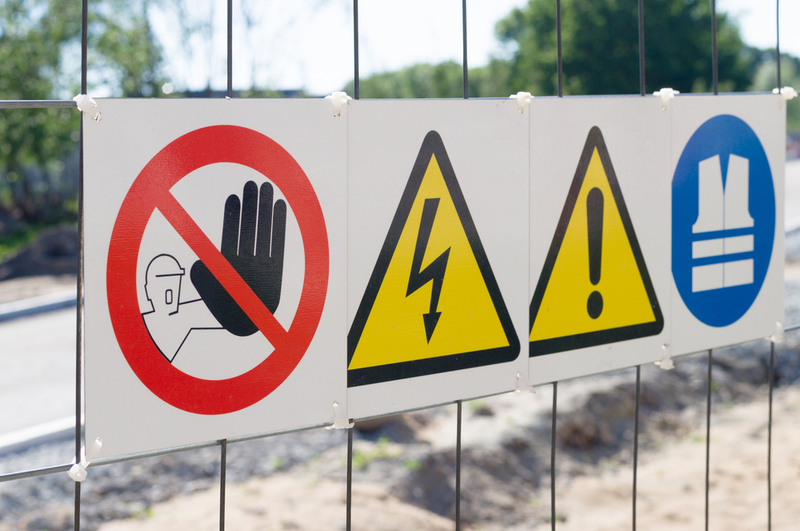 For any demolition contractor, the safety factor is an inherent part of any operation. From ensuring their machines and equipment are maintained in the best condition, to the employment of only the most qualified and highly-skilled operators, it is a complex operation. The enforcement of safety precautions takes into account ongoing operator training to maintain maximum competency. While the demolishing of relatively small buildings and structures is generally a routine operation, which does not require large machinery, any equipment and machines that are used will also be subject to stipulated regulations by local authorities, including those related to safety. In the case of larger buildings and structures that require more extensive machinery and equipment, the method of demolition used will depend on the structure, as will the required safety precautions and features applied. The type of machinery used will also relate to the project personnel and any passing traffic and pedestrians. Customers benefit from dealing with a construction and demolition company that is well established and boasts an excellent reputation. Confidence is created in the ability of a company and a proven wealth of demolition expertise gained from past projects as well as a strong safety record. It is also essential the company has an in-depth knowledge of local authority regulations, codes, and governing laws. These are all indications that a contractor is conscious of their community responsivities and will conform to, or even exceed, required safety precautions.